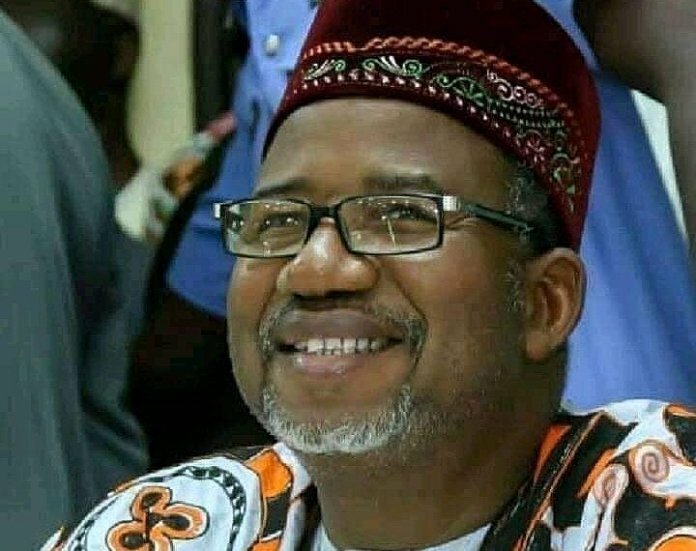 Victory eventually came the way of the Peoples Democratic Party (PDP) in Bauchi State last night as the Independent National Electoral Commission (INEC) declared its candidate, Senator Bala Muhammed, the winner of the governorship poll held on March 9, 2019. THISDAY checks revealed that Muhammed is the first to defeat an incumbent governor in the state since the return to democracy in 1999. Kyari said 2,462,843 registered but 1,143,019 were accredited to vote. He put the valid votes at 1,111,406 saying 22,566 votes were rejected. “I Professor Muhammed Kyari, the returning officer for the governorship election on March 10, 23 of March and concluded today, March 25, 2019, having satisfied with requirements of the law, Bala Muhammed of PDP has scored highest number of votes is hereby declared the winner and he is return elected,” Prof. Kyari declared. Muhammed’s closest opponent, Governor Muhammed Abubakar, immediately accepted defeat and congratulated Muhammed. A congratulatory message signed by his Special Adviser on Media and Strategy, Mallam Ali M. Ali and made available to newsmen in Bauchi last night said the governor wished governor-elect well. Abubakar stated further: “Let me therefore invite the governor-elect to join me in working out the process of a smooth transition. Earlier in the day, a Federal High Court in Abuja had dismissed a suit filed by Abubakar, and the APC challenging the decision of INEC to resume collation of results of the state’s gubernatorial election. Justice Inyang Ekwo gave INEC, the go-ahead to precede with the collation and announcement of the Bauchi State’s governorship election results, held on March 9. In a similar, case, Justice Ekwo, yesterday adjourned till March 28 hearing in a suit seeking to stop the INEC from proceeding with the collation, conclusion and announcement of results in the March 9, Governorship and House of Assembly election in Rivers State. INEC had declared the Bauchi election inconclusive on the grounds that the number of cancelled votes was higher than the margin of lead between the two top political parties. In a judgment yesterday, Justice Ekwo declined jurisdiction and disagreed with plaintiffs’ lawyer, Mr. Ahmed Raji SAN, that the suit related to pre-election matters. The judge said although his court has jurisdiction to determine the questions, relating to the interpretation of the Constitution and Electoral Act, raised in the suit, he would prefer to allow election tribunal with an overall jurisdiction over election matters to handle the case. In another development, the APC suffered a setback yesterday as the Court of Appeal, Sokoto Division, set aside the judgment of a Zamfara State High Court, which allowed the APC to field candidates in the general election held in February and March 2019. The practical implication of the appellate court’s judgement is that all the candidates of the party that swept the polls in the just concluded general election have been left in the cold as their certificates of return would have to be withdrawn since in the eyes of the law, they did not participate in the election. The party also appears to be walking the tight rope in Bauchi State as a Federal High Court in Abuja has dismissed a suit filed by Governor Mohammed Abubakar and the APC challenging the decision of the Independent National Electoral Commission (INEC) to resume collation of results for the governorship election in Tafa Balewa Local Government Area of the state. The electoral umpire has, however, stated that it has not been served the Court of Appeal judgment on Zamfara State APC congresses, but assured that it would continue to obey court orders and enforce them in accordance with constitutional dictates. The appeal was filed by the Chairman of the Senate Committee on Petroleum (Downstream), Senator Kabiru Marafa, and 129 others through their counsel, Mr. Mike Ozekhome SAN. Respondents are Kabiru Liman-Danalhaji and 139 others represented by Mr. Mahmud Magaji SAN as lead counsel. Delivering the lead judgment, which was adopted by two other justices, Tijjani Abubakar and Jamilu Tukur, Justice Tom Yakubu, held that the lower court failed in its duty to properly evaluate the evidence before it. He said: “I am convinced that the lower court has failed to evaluate the evidence before reaching the decision. “Domestic affairs of political party activities must act within the confines of the law in dealing with party members and elections,” the judges said. The Zamfara State High Court had recognised the primary elections that produced governorship, state and National Assembly candidates held by APC in the state and declared that INEC accepts the party’s candidates for the elections. Dissatisfied with the state high court decision, the appellants approached the appeal court, challenging the decision on the grounds that the state high court lacked jurisdiction to entertain the suit among others. A similar case was instituted before the same appeal court by Alhaji Aminu Jaji, a governorship aspirant and member representing Kauran Namoda/Birnin Magaji Federal Constituency, and was dismissed after Jaji withdrew the suit. The electoral body, however, said yesterday that it had not been served the Court of Appeal judgment but assured Nigerians that it would continue to obey court orders and enforce them in accordance with constitutional dictates. The INEC National Commissioner, Mr. Festus Okoye, told THISDAY: “The commission has not received the judgment of the Court of Appeal Sokoto Judicial Division. On receipt of the judgment, the commission will study it, have a full understanding of its import and consequential orders (if any) and communicate its decision to the Nigerian people. “The commission notes that it has conducted elections in Zamfara State and issued Certificate of Return to National Assembly candidates. The commission notes that it has slated for March 27 to 29, 2019 for the presentation of certificates to elected governors and members of state assemblies.